The first thing you need to do is stop to evaluate. Scarfing down that protein bar at the first sign of hunger isn’t necessarily going to help you. Now that you’ve stopped. Pay attention to where this hunger is coming from. Can you actually feel or hear your stomach growling? Did you skip a meal, and haven’t eaten in hours? Or are you seeing and smelling something divinely delicious? Perhaps you’re bored, sad, or stressed? Take a peek into all these areas and really pay attention. Have a big glass of water. Now observe your hunger feeling for at least a minute. Really dig into the source of the feeling. It can be easy to jump to a conclusion, but that may or may not be the right one. So listen to your body and mind very deeply. If you do find that your feelings may be the source, then face them. Acknowledge and observe them. They may just be needing comfort and recognition, even if they sound like they need food. 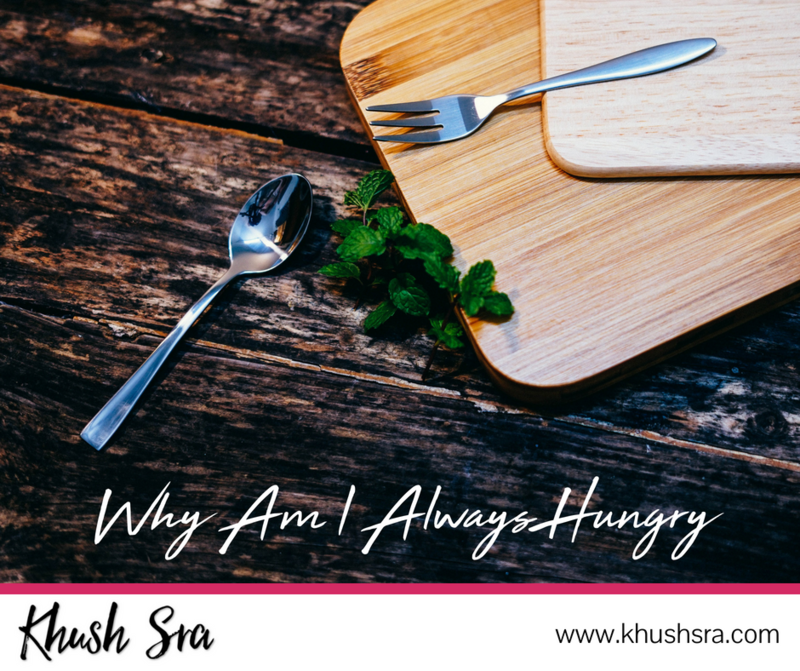 Try deep breathing, having a stretch, or going for a quick walk to release some of these emotions; this also gives your mind a chance to focus on something other than the feeling of hunger. If you’re pretty sure that your body physically needs nutrition, just wait a few more minutes to make sure. Now you can be fairly sure whether your hunger was from emotions, boredom, thirst, or actual physical hunger. If it’s physical hunger, feel free to eat healthy and nutritious food. To fill you up the food you eat should be high in protein, fibre, and water. Eat slowly and mindfully. Chew well and savour every bite of it. Rinse and repeat at the next sign of hunger.